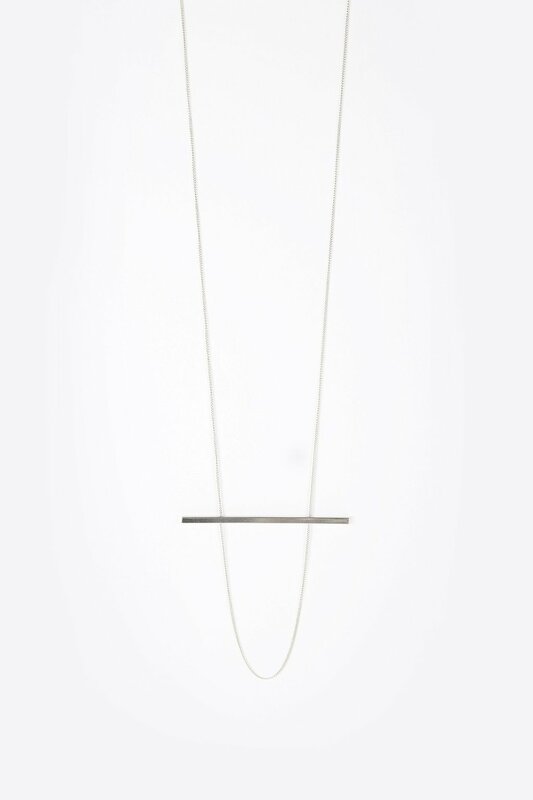 Make a subtle statement with this minimalistic piece. 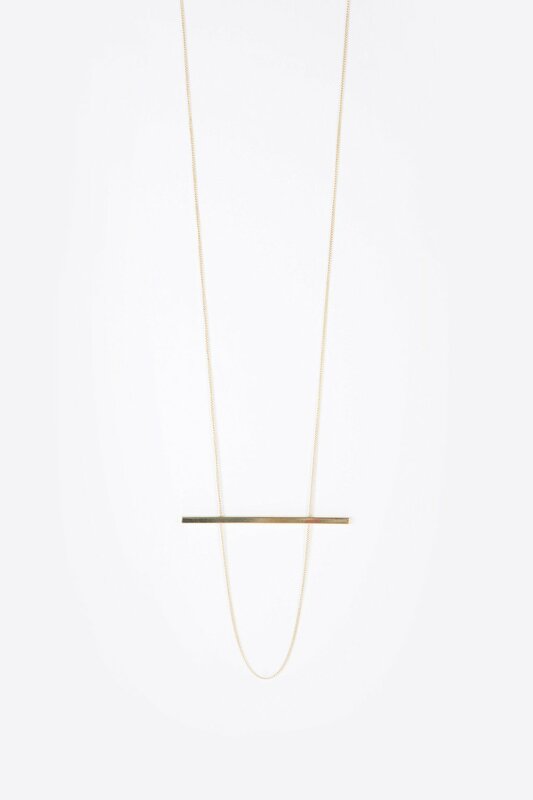 Featuring a hanging horizontally placed rectangular bar pendant, this piece is refined yet delicate. 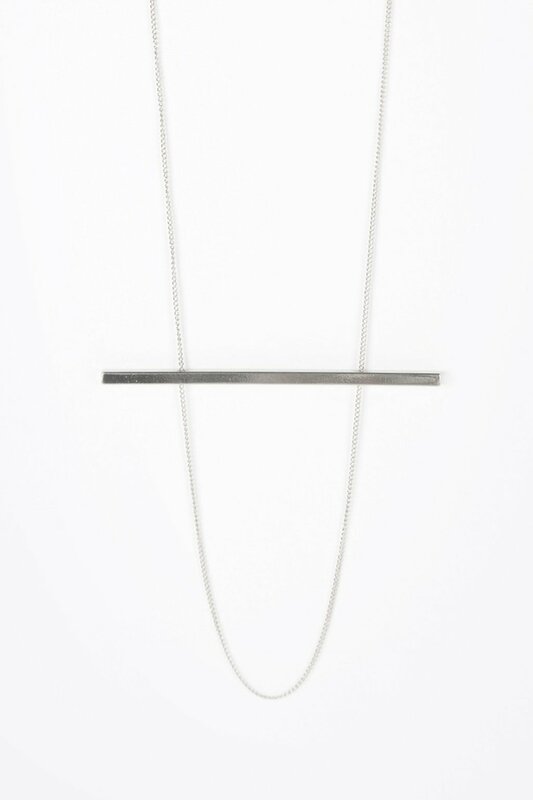 Layer over any outfit to add elegance to your look.